There is a new Youth Program launched by Dive Rite. It gives children a kid-sized BCD that will grow as they grow. As the child grows, parents who purchase any TravelPac or VoyagerPac BCD for their child can request free upgrades. These BCDs are designed for children as they grow into adults. Available sizes are XS through XXL. The TravelPac and VoyagerPac BCDs use a webbing-based harness with ergonomic shoulder and hip pads for comfort along with a quick-draining, molded lumbar pad to cushion and support the back. Weight pockets, storage pockets and other accessories can be added as they child’s interest grows. Using a webbing harness allows for infinite adjustment as kids grow and Dive Rite will replace the shoulders for FREE, which is the point on the equipment that has to lengthen as the kids get older. MSRP: $479-499. 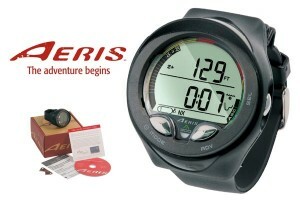 Parents should contact their authorized Dive Rite dealer for purchase and register the product at Dive Rite’s website. When they are ready to upgrade, simply contact Dive Rite at Support@DiveRite.com and send in the old shoulders. A few words from your child about why they enjoy diving or a pic of your child in their gear are also encouraged.